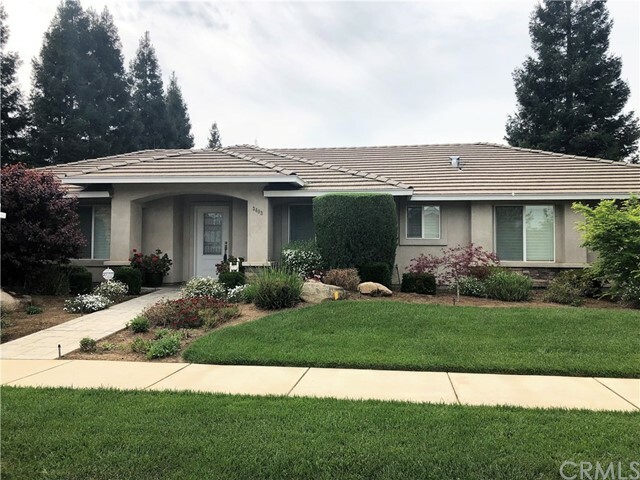 All Merced homes currently listed for sale in Merced as of 04/24/2019 are shown below. You can change the search criteria at any time by pressing the 'Change Search' button below. 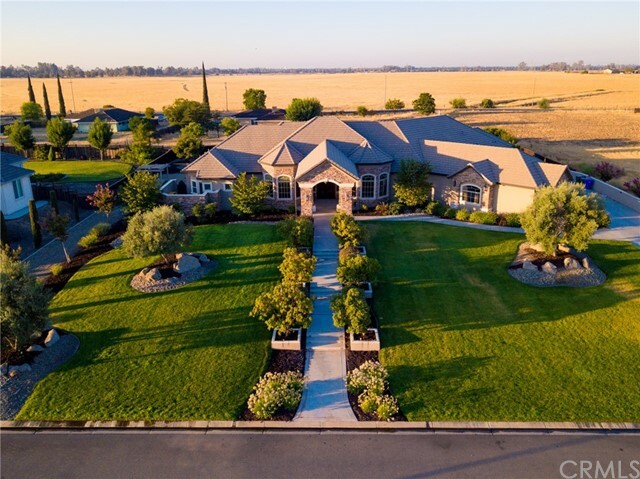 If you have any questions or you would like more information about any Merced homes for sale or other Merced real estate, please contact us and one of our knowledgeable Merced REALTORS® would be pleased to assist you. "Development propety. Large 3475 sq.ft. home w/pool. Home on property can be split off as currently zoned Ag Residentail (one acre lots), estimate $10,700 to complete. Property in Merced's sphere of influence as low density residential (3 lots per acre). Property has working Almond Orchard with an irrigation well. 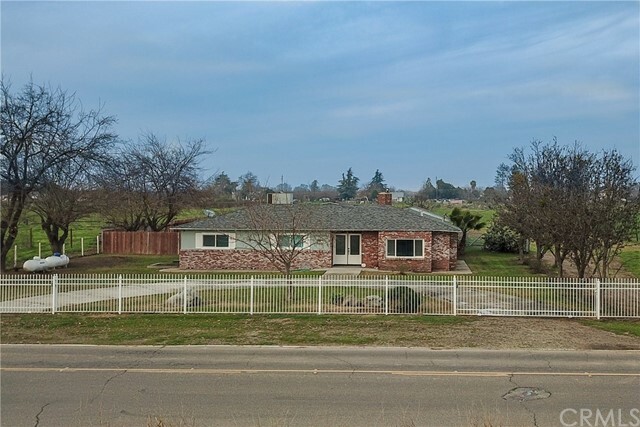 3 Miles from UC Merced, Two Parcels to be sold together. Total of 37.43 acres. APN 052-380-014 & APN 052-380-002"
"Newly remodeled home on 29.5 acres. Has 3 bedrooms 2 bath, granite counter tops in kitchen and bathroom, skylight in the kitchen, family room, living room, newer central heating and air, newer roof on both buildings. The office/garage was converted to 3 bedrooms, bathroom, kitchen and living room. 2 water wells, MID access, 2 septic system, tractor and attachment is included if buyer would like to keep it, still being used to work the land. Stucco both home and paved around the house. Lots of fruit trees. Huge barn with multiples storage rooms. Must see to appreciate. Live in one house and rent the other home." "Own the dream! This 2002 custom home (offered by its original owner) is right out of a magazine. 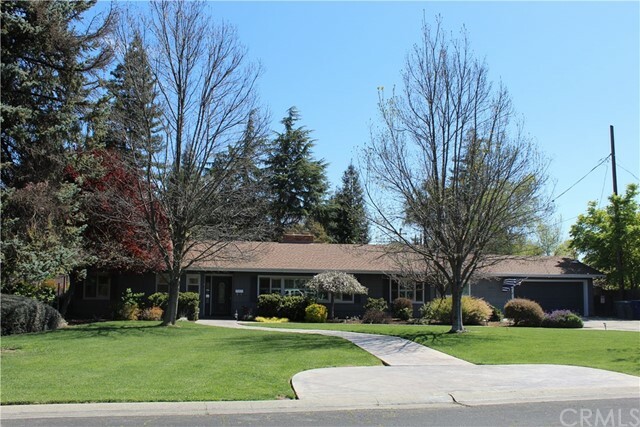 This massive 4,755 sqft, 4 Bedroom, 4 Full Baths, 2 Half Bath, 3 Car Garage with circle driveway home sits on a Full Acre. 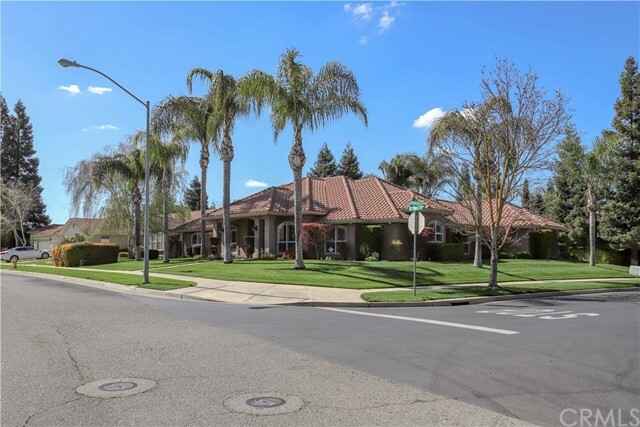 Located just minutes away from Lake Yosemite, Merced Golf and Country Club and U.C. Merced. This home is designed to entertain. The gourmet kitchen with stainless steel appliances (built in gas range, side by side fridge, dishwasher, trash compactor, built in microwave, newer commercial grade ice machine) and premium granite opens to a large living room, bar area and wrap around back patio. The home has stunning craftsman style ceilings that reach up to 22 feet in some rooms. The dedicated study has beautiful wooden built in book shelving for the working professional who enjoys a touch of sophisticated style. The home has Cat 5 wiring to multiple rooms throughout the home so signal loss never becomes an issue. The hot water circulatory system brings instant hot water throughout while maintaining efficiency. The second story home theater is wired, sound deadened and shaped for perfect acoustics; even the wet bar to its side can be stocked with a popcorn maker and snacks for even the biggest movie buff. The secluded master suite has a large walk in closet with build in foundation safe, a spacious bathroom with sunken tub and private enclosed patio. The upgrades list just goes on and in case you needed anymore space the walk in attic allows for ample storage." "Great Horse Facility in full Operation! 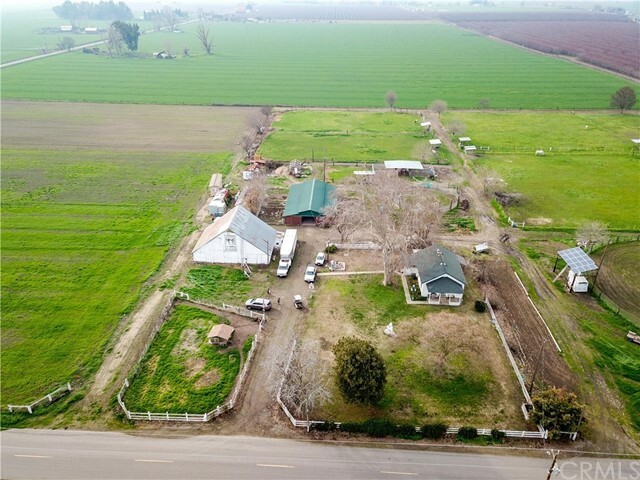 WONDERFUL 18+ ACRE CORNER PARCEL... on the corner of McMaster Road, and Givens Lustre Road, Merced, 8 Stall Castle Brook Horse Barn with extra wide alley way, two stalls have Mattress Cushion flooring, Pastures fenced, Lighted Riding Arena, Hay storage and shop in wooden Barn. Sq. Ft. of the home is over 900 sq.ft. as per Sellers. Home was recently remodeled in 2013, Dual pane windows, dog kennels, Rabbit Hutches, hot tub with cover, Wash Rack for horses, Very pretty flooring in this country charmer, Stove, Fridge, washer and dryer are all included in sale (no value given) Owner owned Solar system, Wind Generator. Fenced and crossed fenced, Fenced Pastures, Riding Arena, balance of property planted in Alfalfa. Numerous Fruit trees, Nut trees and grapes, Property setup for Horse Breeding with lab and phantom mare breeding mount. Current Sellers have had weddings held on site, Beautiful location, flood irrigation, MID water, Well water. Dish Network for TV and Internet,"
"Welcome to 2145 Leeward Ct. 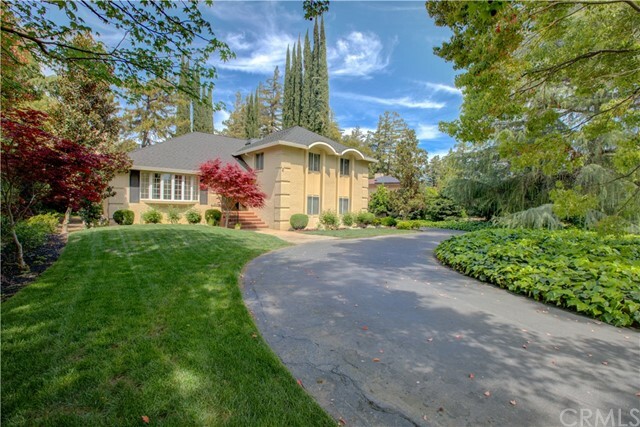 This custom, elegant home encompasses the tranquility of Lake Yosemite and boasts impeccable architecture. Features a heavenly master suite, parlor, formal dining room, along with a fabulous gourmet kitchen. You ll enjoy the hardwood floors throughout, gorgeous crown moldings with solid knotty alder doors. Enjoy pristine beautiful landscaping with a large covered patio built for retreating while entertaining guests for family functions. Come live the good life with this amazing home." "This property will take your breath away. Custom-built home. location and beautifully designed inside and out. This 4 bedroom and 4 bathroom has a spacious layout and your own private pool in the backyard as well as an overlook of the captivating golf course. This luxury home has features more like those you would expect to find in a resort. The Amenities such as double door entry, decorative lighting, elegant formal living room, high ceiling, fire place with stone surround wet bar area in family room, in this home brings fun in your every day life. Words are not enough to describe the beauty of this house. Make an appointment right now!" "This is a horse owners dream come true, 16 stalls, metal & wood, two fenced irrigated pastures all on a twenty acre fenced parcel. Dog kennels, shop, few trees and what more could you ask for. Income generating property. Three homes on approximate 19.7 AC fenced land. First home rented for $1600/month & has pool permit available, Second home rented for $1300/month & has separate street address (1908) is app. 1,400 sq ft with 3 bed 1 bath. Third home need work is app. 600 sq ft. App. 15 acres land leased for $9k+ for year. Total rent income over $3500.00/month. Property is on 2 Wells one commercial and one residential with separate electric meters." "Whitegate area with city water, custom Prine built home, original owner, approximately 3,247 square feet of living space. Totally unique tri-level home with 4 bedrooms & 3 baths with custom tile. Travertine marble flooring from majestic entry through the kitchen. Formal living room & dining room. Family room with custom cabinets & French doors. Newer second level redwood deck overlooking sparkling pool. Yard is a park like setting. Other amenities include newer roof & gutters, 2 central HVAC systems & a cedar lined walk-in closet." "Sprawling 20 acre ranchette with a single story 4 bedrooms 3 baths, 1913 square feet including two master suites and a tile roof. It is move in ready. Open kitchen & family room area with kitchen island and granite counters throughout, new stainless appliances. New interior and exterior paint, new carpet in living room and bedrooms, tile floors in kitchen, family room, bathrooms and hallways. Over sized tub with newly tiled shower walls and new shower door, new ceiling fans, light fixtures, new brushed nickel door hardware and new window blinds. Horse property with a covered out building for animals and/or hay storage, large pasture area and cross fencing. Property has so much potential." 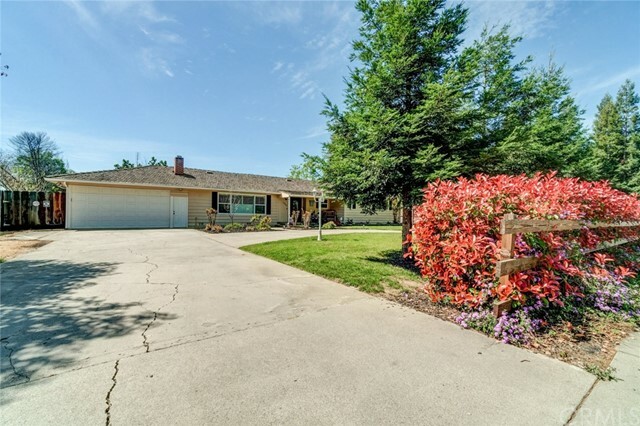 "Delightful Ranch home sits proudly on a 15 AC lot located in North Merced and close to UC Merced University. This 3 bedroom, 2 baths, 2,518 sqft features a very spacious, functional kitchen with tile countertops, electric cooktop, ample cabinet and pantry storage. Spacious Living room, family room with a brick fireplace, carpet in all bedrooms for warmth and comfort. Large bathroom with tile countertops, bathtub & walk-in shower. Living room, dining room, laundry room,2 car garage, ample parking for RV or boat, large shed and a shop, great for 4H plus horse corrals. There is amazing potential to extend or renovate and build your dream home or great for a farmer to grow almonds or pistachios. A huge variety of trees and plants makes this property very private and peaceful. If the country lifestyle is what you are after for your family and friends, this is one you have been waiting for." 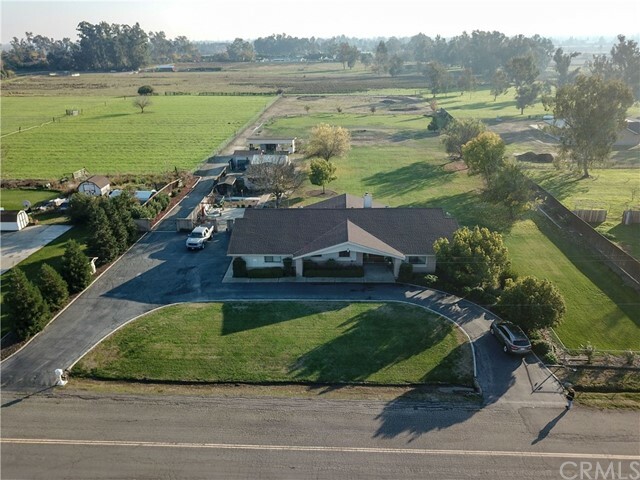 "Spacious and well presented country home in town with flexible accommodation located very close to UC Merced, lake and golf course area. This home has been carefully finished through out with boasting modern fitted kitchen with new counter tops and appliances with ample space cabinets, looking over the pool and spa. Master bedrooms is on the main floor with access to the backyard. Another master bedroom upstairs with a balcony, that is totally private, can be good income unit. House has plenty natural ceiling light through out. House comes with fresh two tone paint, new carpet, new landscaping and much more. Property is located in almost 2 acres of land which can be perfect for gardening or gatherings. Plenty parking for boats, RV Etc. Sparkling pool for hot summer days. A MUST SEE !!!" "Entertainers Delight! 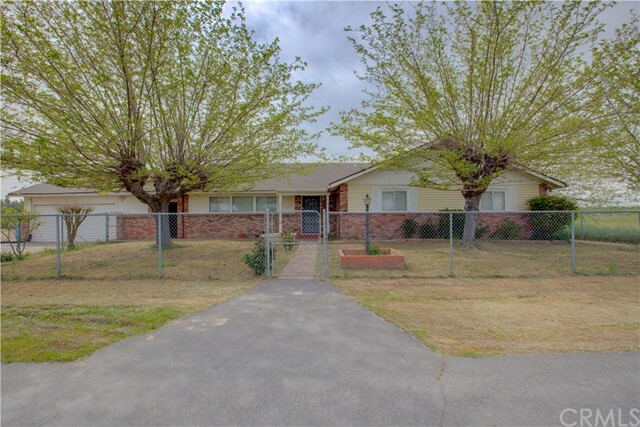 Live a great life in this superbly detailed 4 bed, 3 bath NE Merced home on a huge corner lot in Camelot. This remarkable home meets all your entertainment needs with its gourmet kitchen including: double oven; full wet bar; large center island with breakfast bar and additional sink. Open and airy great room provide the perfect setting to enjoy the resort like backyard which comes complete with covered patio, large pool and spa. You won't want to miss the beautifully designed master suite with dual vanities, separate walk-in shower and jetted tub, large walk-in closet with private fireplace and direct double door access to the backyard." "Hard to find Gem! 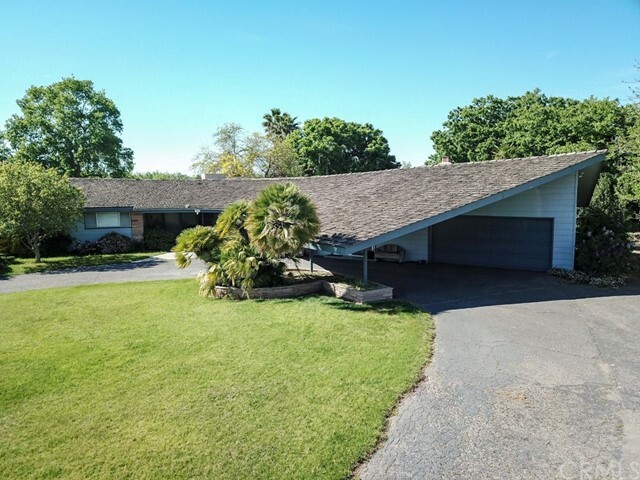 Custom Ranch Style Home on 3 acres in desirable N. E. Merced. 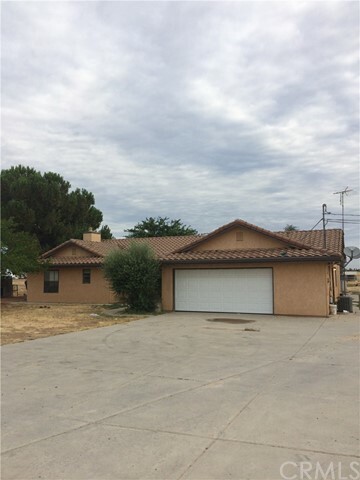 A well maintained home with an open floor plan, 3 bedrooms, 3 bathrooms, 2 car garage and shop in the back. 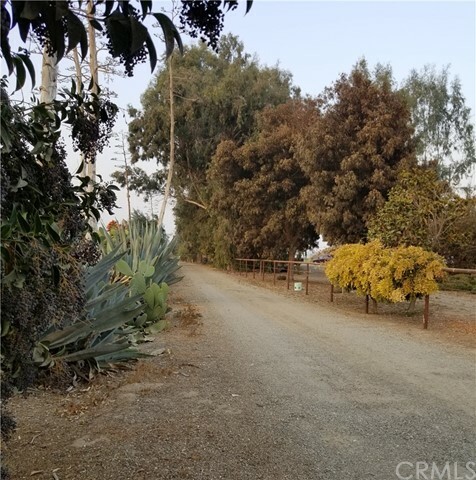 This neighborhood has the best of both worlds with the peacefulness and large 3 acre lot of country living, while still being close to shopping and UC Merced." "Wonderful curb appeal on this approximately 1 acre lot with great landscaping. 3 bedrooms, 2.5 bathrooms plus an extra home office or den. High ceilings through this welcoming home that is your own oasis. 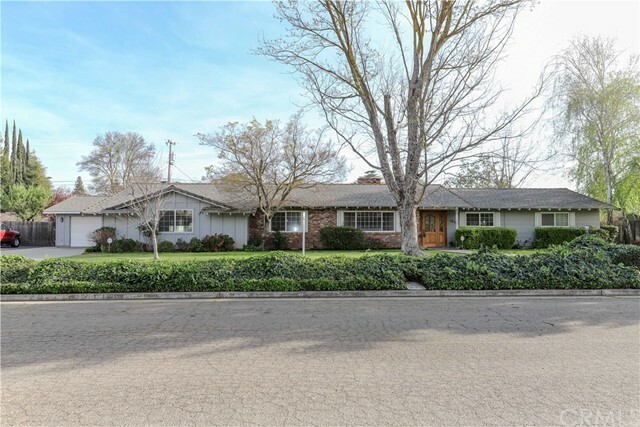 Motivated Sellers, this home won't last long." "Here is your rare opportunity to own a premier 1 Acre lot Amazing home located in the highly desired Robinson Estates. 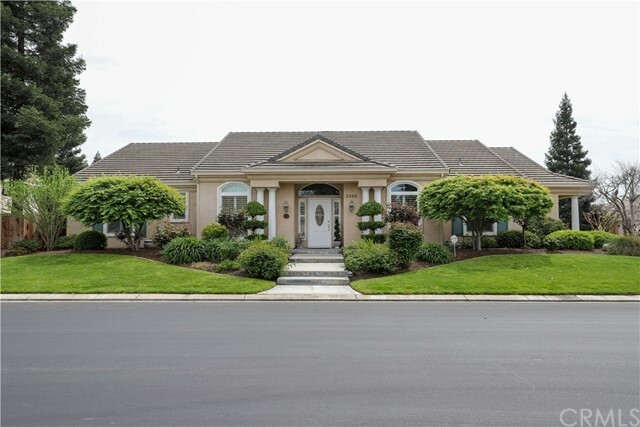 Fully landscaped front and back with mature trees, circular driveway, This 4 bedroom 3 full bath, charming kitchen with stainless steel appliances, full-thickness granite countertops, breakfast bar, eating nook area, recessed lighting, frosted glass off-white solid oak kitchen cabinets, professional Viking oven. Formal Dining room with vaulted ceilings, plantation shutters, marble fireplace with registered wood-burning insert, master suite & a master bath with a jetted tub & walk-in shower, central vac, 3-car garage, covered patio, RV pad & boat parking area, Ready to Move in!!" "Beautiful custom home in desirable Camelot Estates. Pride of ownership is evident when you enter the home. Amenity sheet attached.."
"CUSTOM, CUSTOM, CUSTOM...NEW CONSTRUCTION in one of Merced s most desirable neighborhoods coming soon. 4 bedrooms 3 full baths. 3 car garage. Nice back yard with covered patio and big enough for a pool. Spacious open floor plan with 9 Ceilings throughout and 11 family room ceiling. Large kitchen island, Upgraded stainless steel appliances. Engineered wood flooring with carpet in bedrooms. Quartz countertops throughout home. Energy efficient Low E windows. LED can lighting throughout. Solar ready. Low maintenance front yard landscaping. Hurry you may still have time to choose colors." "Absolutely Gorgeous! 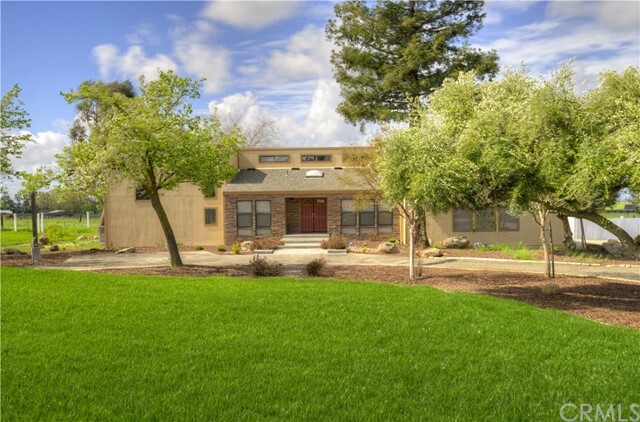 This unique home is located in very desirable Merced Neighborhood. Remodeled and ready for it's new owner this home features a 3 bedroom and 2 bathroom 2108 sq ft main house and a lovely 1 bedroom, 1 bathroom 570 sq. ft. additional unit equipped with a full kitchen and living room and private rear yard. The main house has wonderful designer touches. Family room boasts wood beamed ceilings, hardwood flooring, shutters and fireplace, Remodeled kitchen with granite countertops, full back splash and spacious cabinetry. Formal Living room has upgraded pad/carpet and brick fireplace. Shutters throughout with large newer windows. Large bedrooms with spacious closets that are cedar lined. Rear yard is beautifully landscaped with numerous fruit trees and play structure that is fenced. What a wonderful opportunity to acquire this lovely pride of ownership!" "Beautiful home in the coveted Bear Creek area. This large home has 3 bedrooms and 3 baths with a large family room and bonus room. This lovingly maintained home has crown moulding in most of the home. a gas fireplace in the family, an antique claw foot tub in the hall bath and a jacuzzi jetted tub in the master bath with separate shower stall. There is a large shed in the back yard with electrical and a water spigot and drain for easy clean up. The lot features 2 orange trees, and tangerine, avocado and grapefruit tree with a vinyl lined pool and a have circle driveway for easy access in and out of the property." 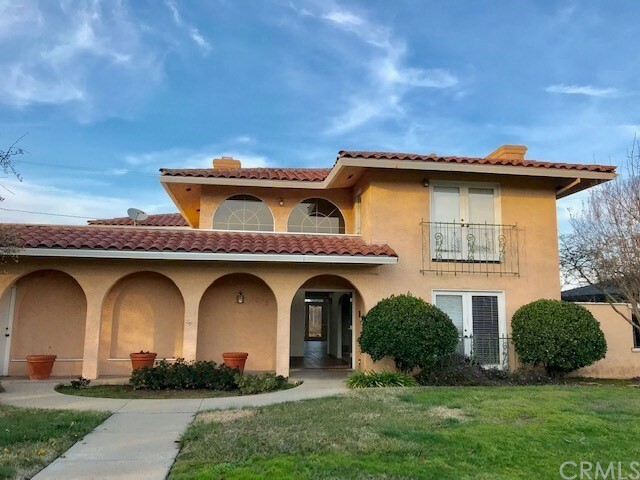 "Country Ranchette in the outskirts of Merced! 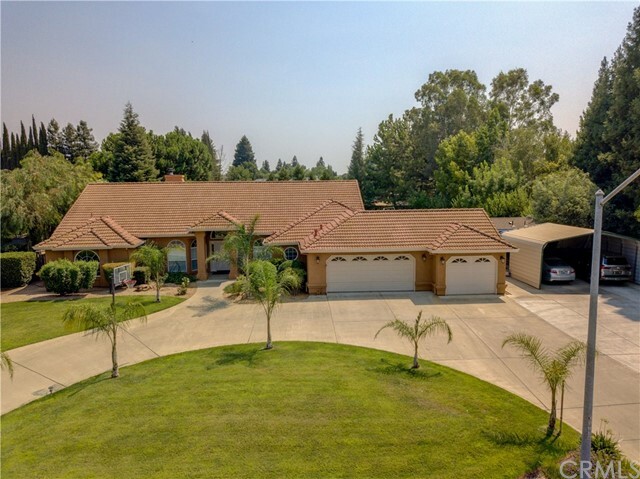 This almost 7 acre property is nestled just outside of Merced and features a beautiful over 2500 square foot home! The kitchen has been updated with granite countertops, stainless appliances and offers a ton of storage space as well as several eating spaces (breakfast bar, connected dining area, and 2 full length window box seats with under-storage!). Off the foyer, after entering the beautiful front doors, you can enjoy an abundance of living and entertaining space with the open living room and family room. The bedrooms are generously sized and are adjacent to the 2 full bathrooms. Off the kitchen is a 1/2 bath as well as a bonus room...2 baths also feature updated granite countertops! 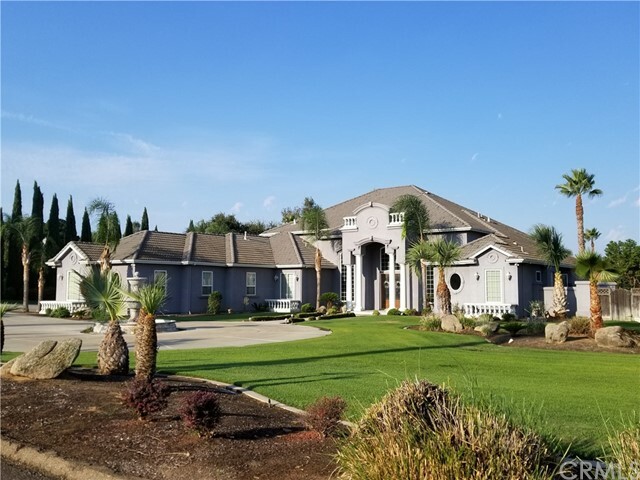 Additional features include a new well pump, 2 separate water heaters, a security gate at the perimeter of the circle driveway and a large fenced yard with a large variety of delicious fruit trees. Endless opportunities!" "COME SEE MERCED HISTORY! The Dallas House, said to be one of the most distinctive and attractive homes in Merced, is a wonderful example of turn-of-the-century Victorian architecture and style, spanning over 3500 square feet, 6 full bedrooms, 4 bathrooms, original gabled roof, an impressive colonnade, hardwood floors, trayed ceilings, built-ins, multiple fireplaces, clawfoot tub and period touches. Once home to one of Merced's first Fire Chief's, on site is one of the few remaining examples of a barn or carriage house within the Merced city limits, the site of many barn dances in the first decades of the 20th Century. Situated on three full lots on a tree lined street in Downtown, it would be an ideal family home or could be transformed into a charming Bed & Breakfast with access for visitors from the nearby Santa Fe Train Station. There is an attached apartment for additional income or for use as an In-Law Suite. There is an additional outbuilding, ample parking, two lovely porches, full basement and attic for additional space and storage. 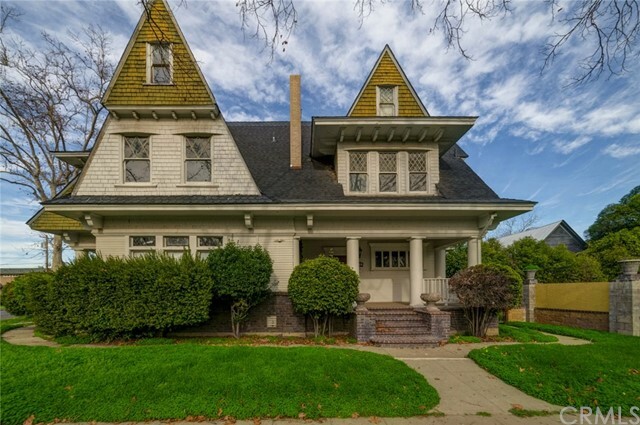 This home is ready for its new owner to restore it to its former glory." 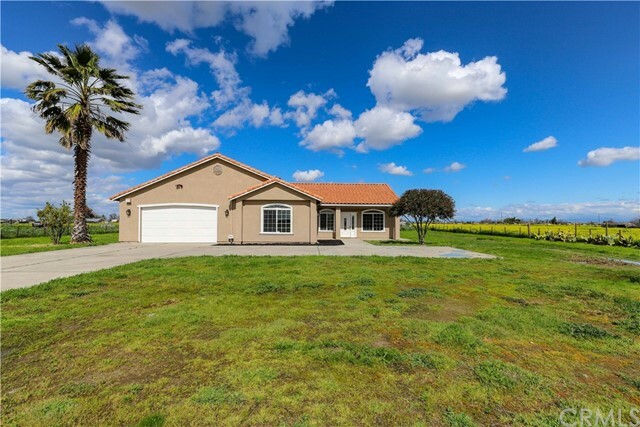 "VERY NICE 3 BDRM, 3 BTH, CUSTOM HOME IN THE HARRIS ACRES DEVELOPMENT OF NORTH EAST MERCED. COMP ROOF, FORMAL LIVING ROOM, FORMAL DINING AREA, FAMILY ROOM. CARPET AND HARDWOOD FLOORS. BRICK, WOOD BURNING FIREPLACE IN FAMLIYROOM, COVERED PATIO, LOADS OF STORAGE SPACE, LARGE YARD. 2 CAR FINISHED GARAGE AND VERY LARGE GAME ROOM FOR SPECIAL GATHERINGS. SPRINKLERS FRONT AND REAR, WOOD FENCE." "Beautiful custom built Spanish style approx. 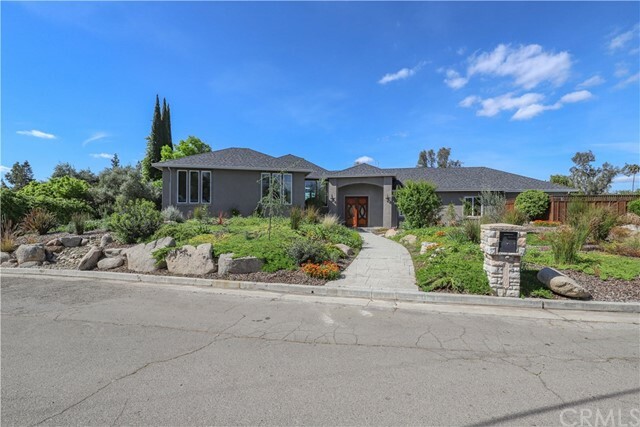 3,400 sqft home, in one of Merceds most desirable locations. Home boasts separate living room and family room with fireplace's for warm winter family gatherings!! Spacious kitchen offers lots of cabinets, a large island with breakfast bar, skylight, dinning area, huge walk-in pantry and a formal dinning room. Down stairs also offers a bedroom with full bath and a convenient laundry room with cabinets. A beautiful stairway with custom wrought iron banister leads you to the upstairs two bedrooms and a huge master suite that boasts a huge walk-in closet, master bath with skylight, sunken jetted tub with shower,and double sinks. Enjoy the summer with the huge roof deck and builtin pool!! All this on a apporx. 1/3 acre lot with room for RV and boat storage. Property has lots of amenities with to much to list a must see to appreciate!! Close to major shopping, schools, Jr College, University, and easy freeway access. Better hurry homes in this area don't last long!!" "Lovely corner lot home in a cul-de-sac in desirable Oakmont neighborhood. Pride of ownership shows throughout this 4 bedroom 2.5 bath home. Many wonderful features include a spacious dining room with built-in hutch, plantation shutters throughout, granite counter tops and stainless steel appliances in the kitchen, a gas fireplace, large master bedroom and bathroom with separate shower, jetted tub and double sinks. There's lots of storage and a three-car garage. The backyard is great for entertaining with a covered patio, dedicated gas line for a BBQ, and solar heated swimming pool. A storage shed, and cement pad for a hot tub, round out the wonderful amenities."